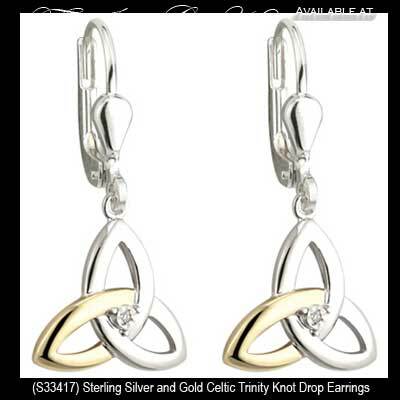 These sterling silver Celtic earrings are a drop style with classic Trinity knots with 10K yellow gold accenting along with diamonds. 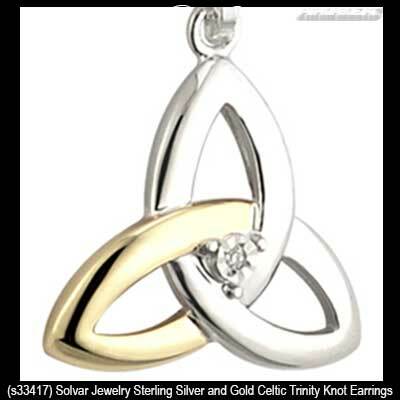 These sterling silver Celtic earrings feature Trinity knots that are accented with 10K yellow gold and are set with a diamond in the centers. The drop Celtic earrings are on latching Eurowires and measure 1/2" wide x 1" tall, to the top of the wire. 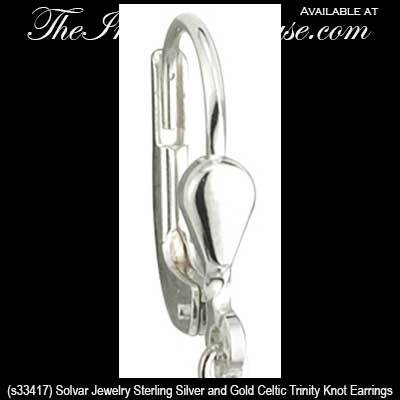 These sterling silver Trinity earrings are made by Solvar Jewelry in Dublin, Ireland and are gift boxed with a Celtic knot history card that is complements of The Irish Gift House.